Anne has worked toward educational justice for twenty years, involved with research and data, program management, family and community engagement, and business operations. 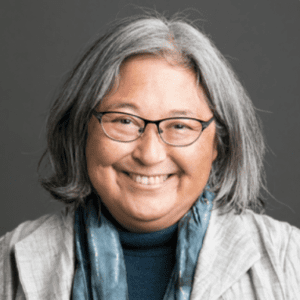 Prior to entering the field of education, she was an activist with Bay Area nonprofits focusing on social justice issues such as immigrant rights, employment rights, and preventing and ending domestic violence. Anne holds a BA from the University of California, Santa Cruz, an MA from the University of California, Berkeley, and school business management certification from the University of Southern California and the California Association of School Business Officials. Anne began working at Aspire in 2016, inspired by Aspire’s commitment to equity, and its track record for providing quality education in low income communities. As the Regional Director of Operations, Anne is responsible for assessing and improving operational systems across the Bay Area so that school leaders can maximize their focus on instruction. Anne is the proud mother of two adult children – a poet and an educator at Aspire Monarch Academy. She lives with her partner in El Cerrito.